You can easily make money online by selling crafts. 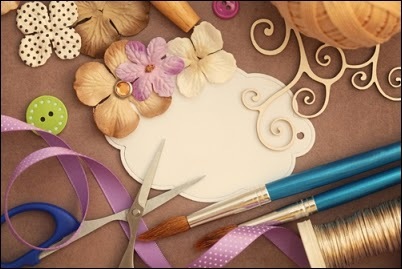 Here are the website for selling crafts.While Etsy takes the cake as the premier marketplace for arts and crafts, there are many other websites that are similar. See below resources for a link to 125 such websites. · Aftcra - a new marketplace where you can buy and sell American handmade goods. · ArtFire - The ArtFire marketplace is home to artisan goods of all kinds. From handmade jewelry and crafts, to vintage clothing and supplies. · Big Cartel - Simple shopping cart for clothing and tee designers, bands, record labels, jewelry makers, crafters, and other artists. · Bonanza – Vibrant collection of fashion, collectibles, decor, and more. · Dawanda – Marketplace for gifts and handmade products. Perfect for unusual gift ideas, unique products and handmade things. · Etsy - Buy and sell handmade or vintage items, art and supplies. · Folsky – Buy and sell beautiful handmade gifts and crafts supplies. · iCraft – Crafts online and more. · Lilyshop – New online marketplace for handmade creations created by women for women. · Luulla - Luulla is a marketplace to find and sell various creative objects. · Made It Myself – Buy and sell homemade products like crafts, jewelry, quilts, soaps, greeting cards & other handmade stuff online. · Not On The High Street – Hundreds of unique shops. · Silkfair - Simple and affordable online store builder. · Storenavy - Allows you to open your own store for free. · Super Market HQ – A curated marketplace of products, apparel, art, and accessories. · Uncommon Goods – Great for cool and unusual gifts for any occasion. · Yakaboo - Create your own unique store and start selling in a few easy steps. · Zibbet – Buy and sell handmade goods, fine art, vintage items and crafting supplies on Zibbet. Thanks for your valuable suggestion. I will use your suggestion in my next online shopping store. If you need some more help you could also take help from eBay Consultant to expand your online business.